The long-running campaign to secure the re-authorisation of the essential herbicide, glyphosate, has seen the appeals committee in Brussels approve the product for a further five years. It has been a hugely frustrating process, which saw politics rather than scientific evidence delay decisions on a product that had been deemed safe by the European Food Safety Authority (EFSA) and the European Chemicals Agency (ECHA) amongst others. NFUS believes re-authorisation for a full 15 years was justifiable. NFU Scotland has been running its #Glyphosateisvital social media campaign since the summer and recently President Andrew McCornick wrote to the President of the Commission Jean-Claude Juncker, and commissioners, Vytenis Andriukaitis and Phil Hogan on the need for reauthorisation. 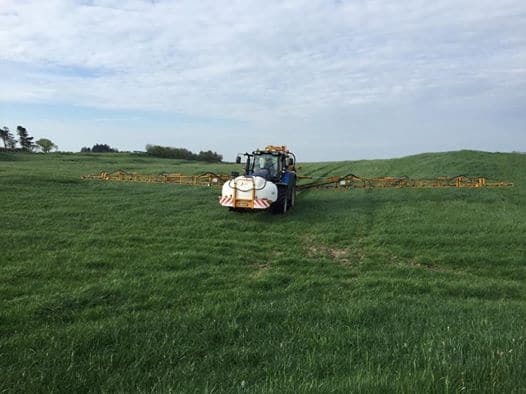 An NFU Scotland delegation was in Brussels three weeks ago to conduct meetings with UK and Scottish Government representatives on the importance of glyphosate to Scottish farmers and crofters.